Below are a few helpful links with information and up to date information with what is going on in your world today. www.sec.gov/index.htm (Find information about investment options available to you as you enter retirement. AARP is a nonprofit social welfare agency which advocates for the needs of mature, elderly citizens of the U.S. They have a wide variety of large scale projects, services and initiatives. The website to conduct business with & get information from the government...all in one place! There are links listed which connect to just about every federal government agency. You can find nursing homes and see the nursing home records (whether they have been in compliance), Medicare, Medicaid, food assistance, compare different Medicare plans, Veterans Health Administration, National Women's Health Resource Center and many, many more links. They also include links to government information and services, organized around broad categories (which are shown on the left side of most pages). You can get information on: Benefits (both cash and medical), Health and Nutrition, Consumer Protection, Services (a hodgepodge, including the Postal Service, housing, transportation, etc), Employment and Volunteer Activities, Taxes, Travel and Leisure, Education and Training, Other Links. Includes a wealth of information ... articles, comprehensive checklists and links to key resources ... designed to make it easier for people caring for an aging parent or elderly spouse to quickly find the information they need ... and to avoid missing things that are important in the care for their loved one. A free, easy-to-use service that identifies federal and state assistance programs for older Americans. Researching these programs used to be a time-consuming, frustrating experience. But no longer. The National Council on the Aging created BenefitsCheckUp to help older adults to quickly identify programs that may improve the quality of their lives. Family and friends can also obtain facts about benefits that their loved ones may qualify for. Chances are, you will be surprised to learn what benefits are available to you, regardless of your income. This is a toll-free telephone number to call. The Eldercare Locator will put you in contact with the "Office for the Aging" in your area, provides help in locating needed services in your area. (A service administered by the National Assoc. of Area Agencies on Aging and the National Assoc.of State Units on Aging. Nursing Home Alert.com helps prevent nursing home abuse and neglect by giving sound advice on how to assess nursing homes and how to pay for care,helps you recognize nursing home abuse and neglect by pointing out the signs of abuse and some of the medical issues involved with nursing home abuse and neglect, and helps you stop nursing home abuse and neglect by informing you of your rights and what you can do, including legal action. Contains a wide range of information for people who have already retired, are preparing for retirement, or just thinking about it. Designed especially for today's active seniors, it is filled with advice, tips, and articles about retirement, personal finances, medicare benefits, and more ... with solutions to help seniors simplify their lives ... eliminate the hassles ... and get the most out of retirement. 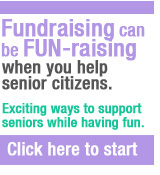 You can find the Office for the Aging for your State from this site, plus much, much more! Information on Medicare, managed care, Medigap insurance, long-term care insurance, long-term care facilities, reports on health care fraud prevention programs of the U.S.A. Click on the link to "State Agencies on Aging" at this site to find your State's Office on Aging. ElderAngels assists elderly victims of financial abuse. We strive to prosecute the abuser, obtain restitution for the victim and educate the public about such crimes. National Clearing House for Long Term Care Insurance link. If you want to find out if you qualify for Pennsylvania health and human services, apply for new benefits, finish your application or check your status, you're in the right place. By using COMPASS you can apply at any time during the day or night from home, a library or any location with Internet access. COMPASS is an online application for Pennsylvanians to apply for many health and human service programs. To view additional helpful tips and news visit our video section. Check back often for updates to this page!